Aerial imaging systems have swept the world of photography and filmmaking and are now making big strides into heavy industries like agriculture, energy, and civil engineering. Aerial platforms are now poised to become an integral part of the way that public service providers work and provide their services, so starting today, DJI will be working with the European Emergency Number Association (EENA) to transform idea into reality. Established in Brussels in 1999, the EENA is a non-governmental organization created to serve as a discussion platform for emergency services, public authorities and researchers, with the aim of transferring knowledge and best practices to better serve the needs of the public. Together, we're creating a one-year joint DJI-EENA program to provide carefully selected teams of pilots in Europe with the latest aerial-technology equipment, including DJI’s ready-to-fly Phantom and Inspire aircraft, the customizable M100 platform and best-in-class Zenmuse XT thermal-imaging system. The possible applications of aerial technology are many. 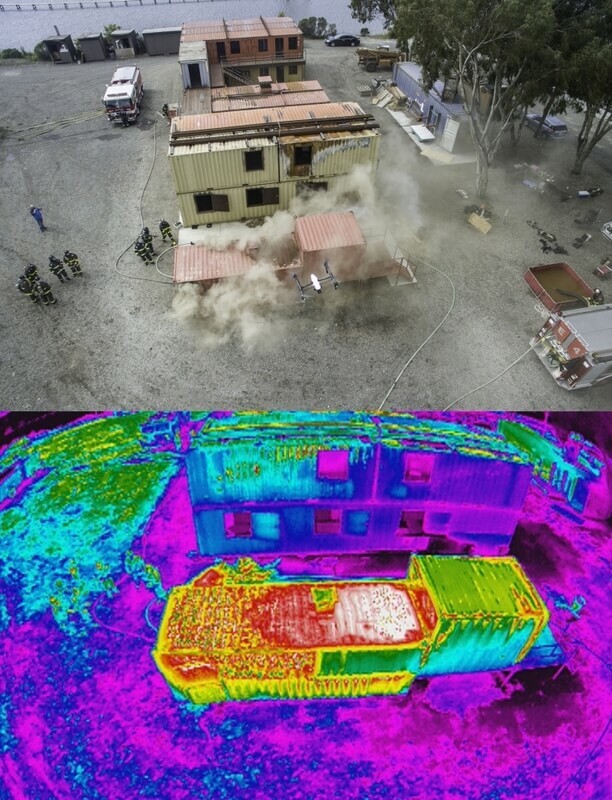 Above is one example: the heat-sensing capabilities of the infrared Zenmuse XT camera being used in a firefighting practice drill to detect heat sources and possible trapped persons. By applying the latest technology, more lives can be saved and public services can reach further. Throughout the program, selected teams will receive intensive hands-on training, support and guidance on application-development using DJI’s software development kit. At the program’s end, EENA and DJI will share insights and best practices with the broader international emergency-response community to promote the safe integration of drones in emergency situations. The partners have selected the Greater Copenhagen Fire Department in Denmark and the Donegal Mountain Rescue Team in Ireland as the first two test sites. In Denmark, the focus will be on drone applications for firefighting, chemical accidents and larger car accidents in urban and over-water environments. 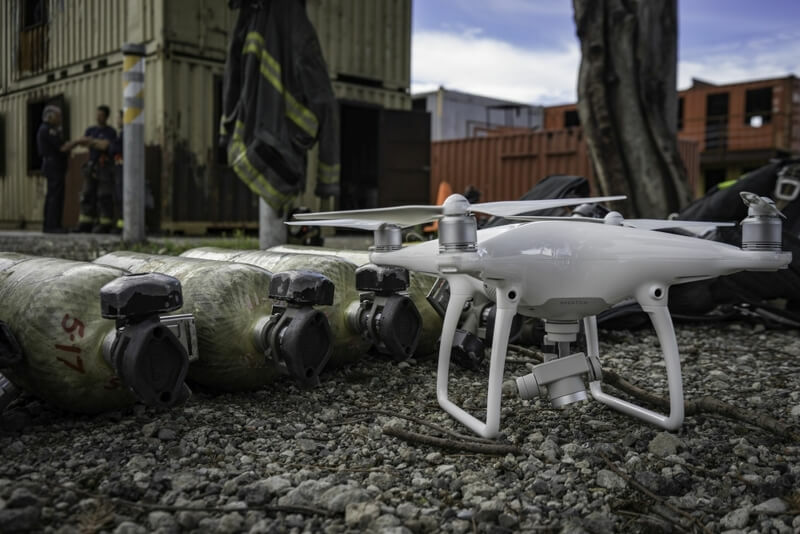 The team in Ireland is already using advanced software applications through DJI’s SDK to coordinate search & rescue missions in remote areas, and the focus will be to improve real-time networking techniques and crowd-sourcing capabilities. “EENA has a unique position to observe how aerial technology has been – and has the potential to be – implemented to support first-responder services. With this program, we seek to better understand how challenges in terms of logistics and data-analysis and integration can be overcome to fully realize the benefits of drones in emergency and humanitarian crisis situations,” said O’Brien. We welcome any interested organizations to submit their application to the DJI-EENA program by visiting this link.